Absolutely up-to-date: RUBIROSA website relaunch – modern, use-friendly and state-of-the-art. The Swiss label RUBIROSA has recognised the signs of the times. With a new look, clear brand language and ultra-modern technical implementation – a combination of website and eShop – the course has been set for the future. One of the primary criteria for the design was to make our website with eShop as convenient, clear and user-friendly as possible, wherever you happen to be: In the office, at home or out and about. This is why it was particularly important to ensure unrestricted usability on mobile devices in the redesign process, taking a “mobile-first” approach. Following the successful conversion of the combined website with eShop, the RUBIROSA label will now continue to promote online sales in particular. This is already happening to very positive effect, alongside and in agreement with the respective and carefully selected over-the-counter retail trade, without any frictional losses. This is seen as an additional marketing tool, supporting the marketing through various social media channels. The new look has been developed by the RUBIROSA management team and the external web & social media factory, “making-the-web”, from Freiburg (D). 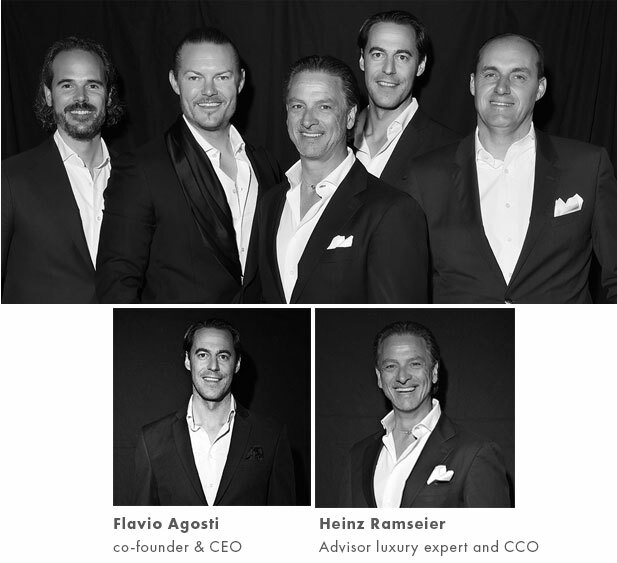 Flavio Agosti, co-founder and CEO, has strengthened the management team with the addition of Heinz Ramseier, the internationally experienced brand expert in luxury lifestyle sector, as Chief Creative Officer. Together, they have already set their sights on a strategic orientation towards “The New Luxury” as a core market, which we can really look forward to. The Swiss label RUBIROSA produces exclusive shoes and accessories for men. All items are handmade, with the highest quality and finish, and offer unrivalled comfort for the wearer. The company upholds the traditional standards of craftsmanship and relies on the most experienced workshops in Italy and Portugal. But that’s not all. The magic is in the philosophy. RUBIROSA, named after the legendary Latin American gentleman Porfirio Rubirosa (1909–1965), is more than just a brand. Like the style icon Rubirosa, this young label represents an outlook on life: embracing beautiful things, fashion, style, pleasure, personality, authenticity and creativity. In short, RUBIROSA is pure joie de vivre – from head to toe.